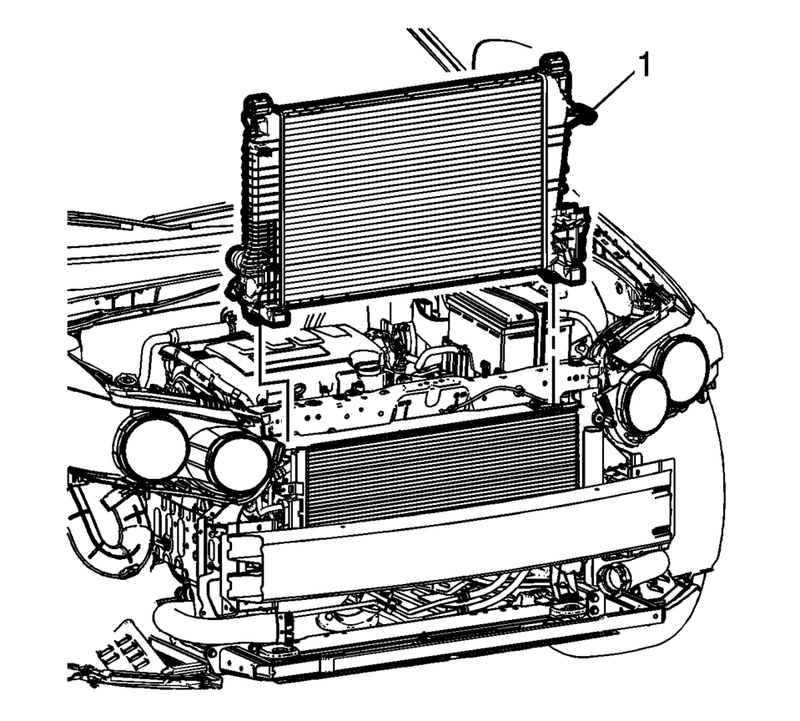 If equipped with an automatic transmission remove the transmission cooler lines. 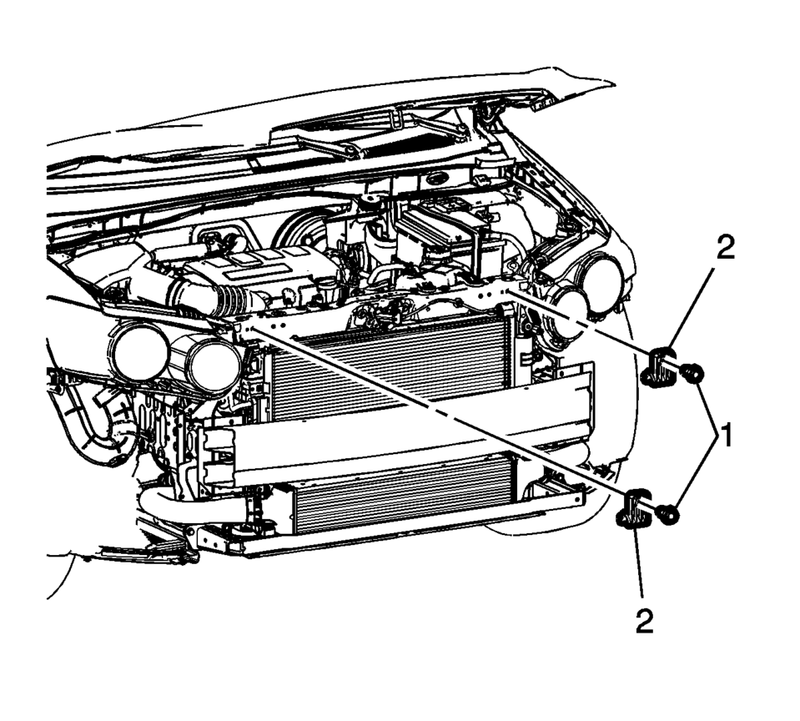 Refer to Fluid Cooler Inlet Hose Replacement and Fluid Cooler Outlet Hose Replacement. Remove the radiator inlet hose from the radiator. Refer to Radiator Inlet Hose Replacement. Remove the front bumper fascia assembly. Refer to Front Bumper Fascia Replacement. Remove the three air conditioning condenser bracket fasteners (1) and bracket. (2). Release the clips securing the air conditioning condenser (1) to the radiator and pull the condenser (1) forward as far as possible. Support the air conditioning condenser assembly. Remove the radiator upper bracket fasteners (1) and brackets (2). Remove the radiator assembly from the vehicle. 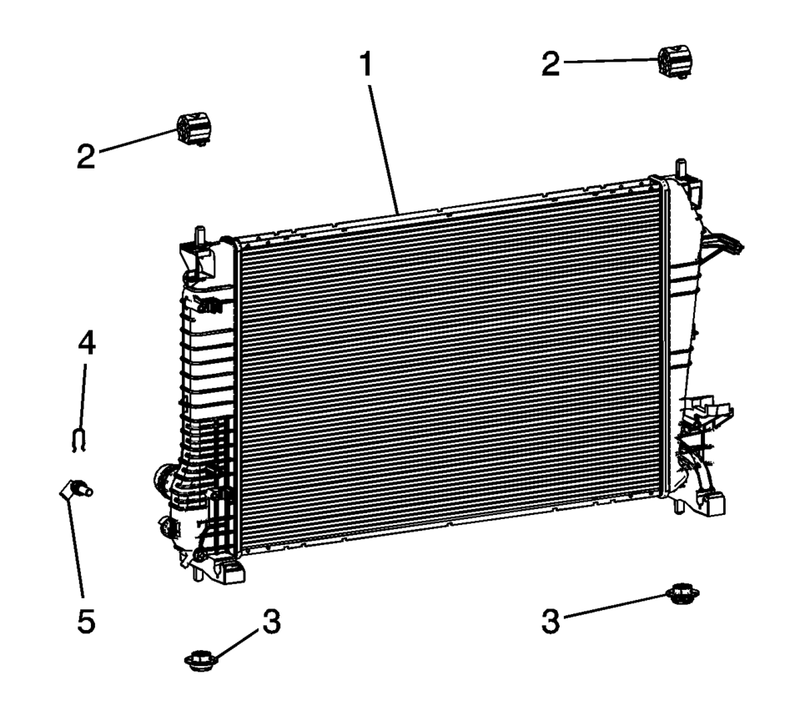 Remove the following components from the radiator assembly (1). Install the following components to the radiator assembly (1). Install the radiator assembly into the vehicle. Position the air conditioning condenser (1) to the radiator, and push inward securing the air conditioning condenser to the radiator assembly. Install the air conditioning condenser bracket (2) and the air conditioning condenser fasteners (1) . Install the front bumper fascia assembly. Refer to Front Bumper Fascia Replacement. Install the radiator inlet hose from the radiator. Refer to Radiator Inlet Hose Replacement. If equipped with an automatic transmission install the transmission cooler lines. 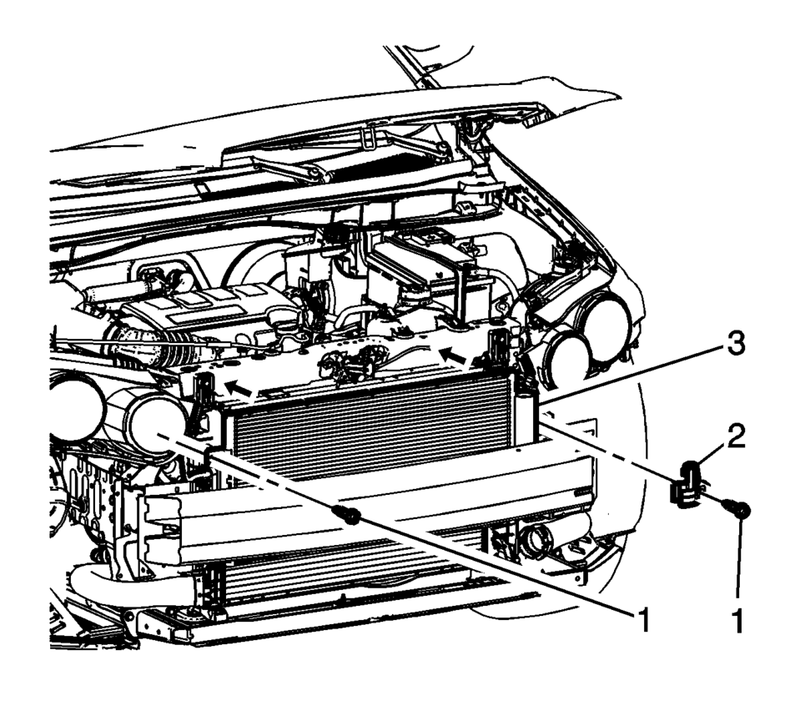 Refer to Fluid Cooler Inlet Hose Replacement and Fluid Cooler Outlet Hose Replacement. Install the front compartment front insulator cover. Refer to Front Compartment Front Insulator Cover Replacement.